Led by Mike Sandison and Graham Smith of Essex Wildlife Trust. All levels of experience are welcome for birdwatching and wildlife watching or you may just want an incentive to get out in the fresh air in good company. 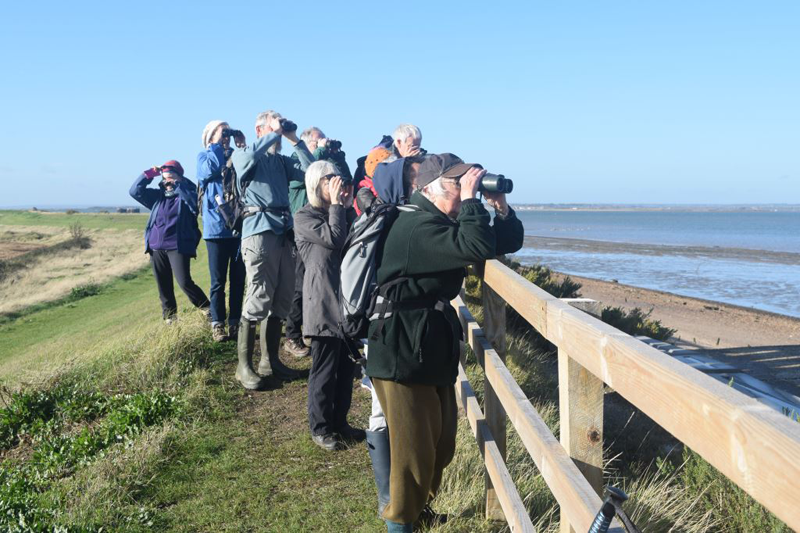 Bring along your walking boots as we plan to visit the Wildlife Trust’s Blue House Farm at North Fambridge, walking along the river Crouch and then spending time in the hides. We will also explore the river Blackwater, walking along the sea wall near the Centre, and also further upstream at Maylandsea. Maximum walking 3 – 4 miles. In the evenings there will be talks and films on wildlife and local history themes. To book online, login or create a new account below. Use your email address as your username - easier to remember! Visit How to Book for details.